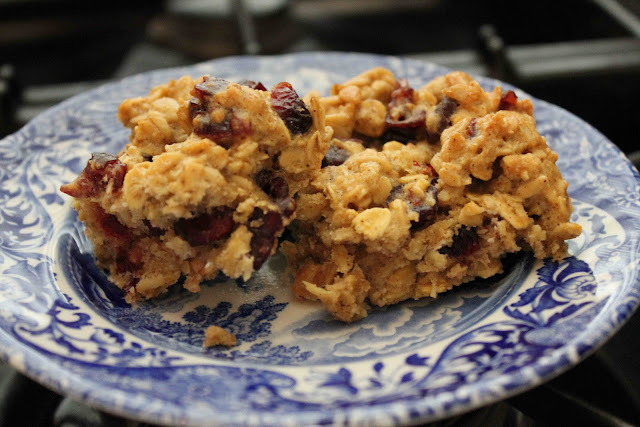 I thought these Oatmeal Craisin Bars were very very good. Just a tad dry on the inside, but for a “healthy” bar, I thought they were delicious. The flavors were excellent….cinnamon, combined with oatmeal, brown sugar, and craisins made for a delectable, fall treat. The best part…no butter, thus no guilt! I took these to work with me as my mid-morning snack all last week. The thought of substituting chocolate chips for craisins crossed my mind since my husband, Matt hates dried fruit, but I wasn’t sure about mixing the chocolate and cinnamon together…weird flavors in my opinion. 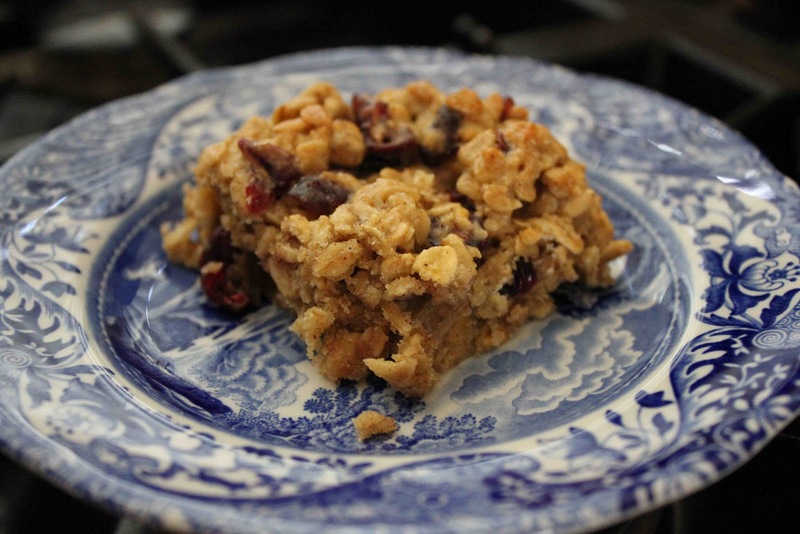 Enjoy these healthy Oatmeal Craisin Bars and let me know what you think! 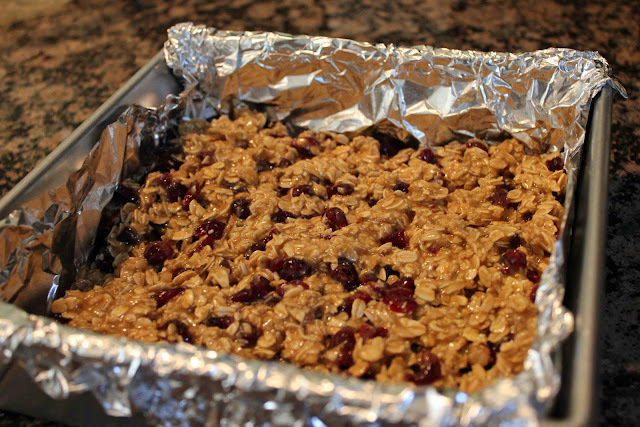 Pour into a greased 8 x 8-inch square pan coated with non-stick cooking spray. Bake for 25-30 minutes in a 350 degree F oven or until bars are cooked all the way through. 3. 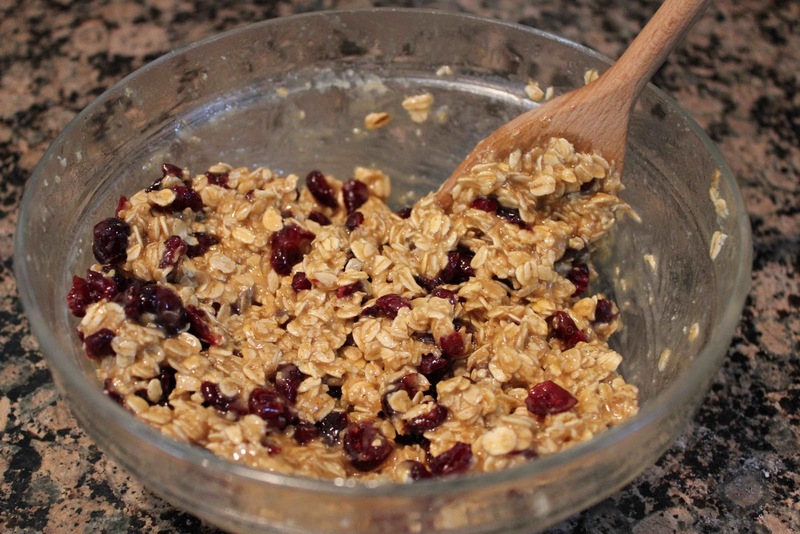 In a large mixing bowl, combine ingredients until smooth. 4. 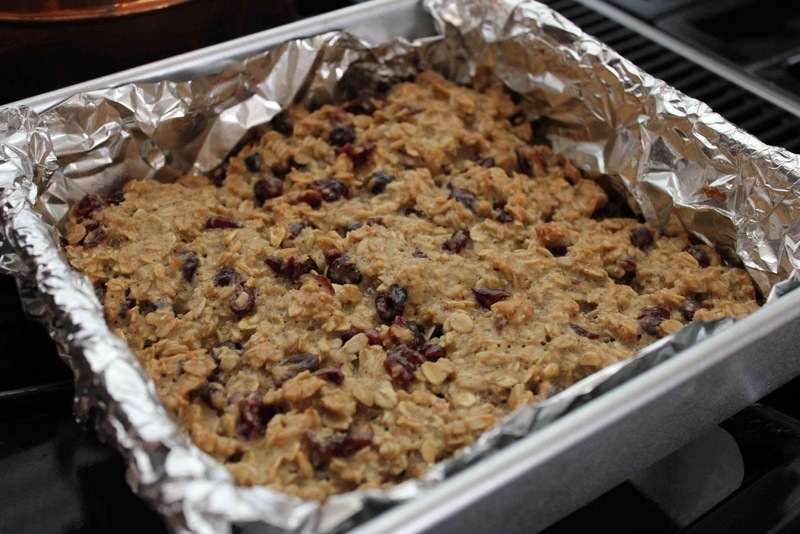 Spread batter in prepared baking pan and bake for approximately 25 minutes until bars are cooked all the way through. 5. Let bars cool completely in pan before cutting.